I can't believe it is the last day of April...where did the month go? 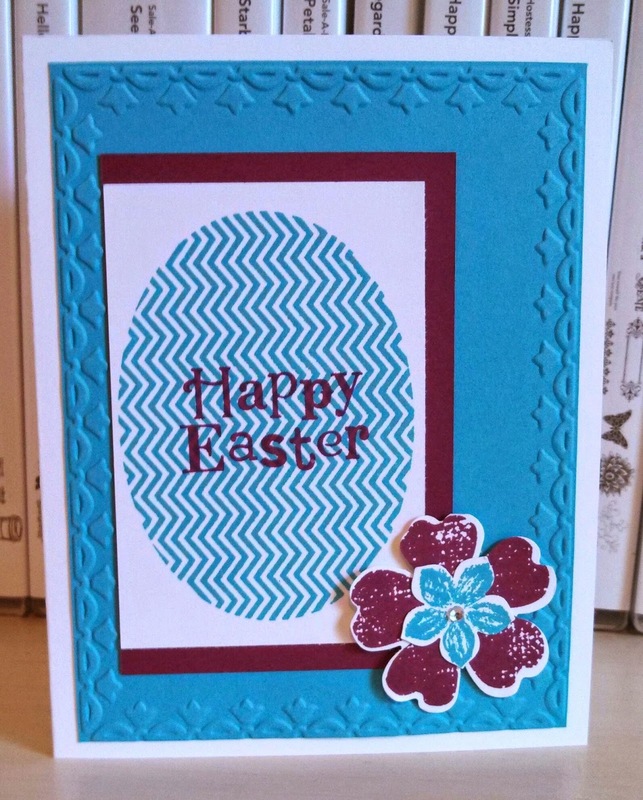 I am prepping for my May class and here is one of the cards the guest with be making. I knew I wanted to use this DSP with the watercolor chevrons but did not know what to use for the image. I then decided butterflies go with this design and I love butterflies! 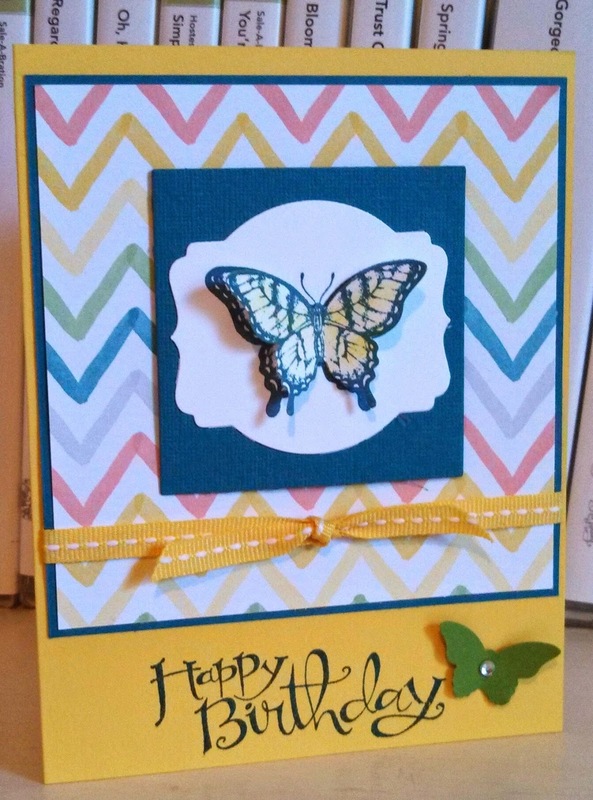 The butterfly stamped on the white looked so plain so I stamped again and punched out to give a 3-d effect and sponged a little yellow on the wings, too. 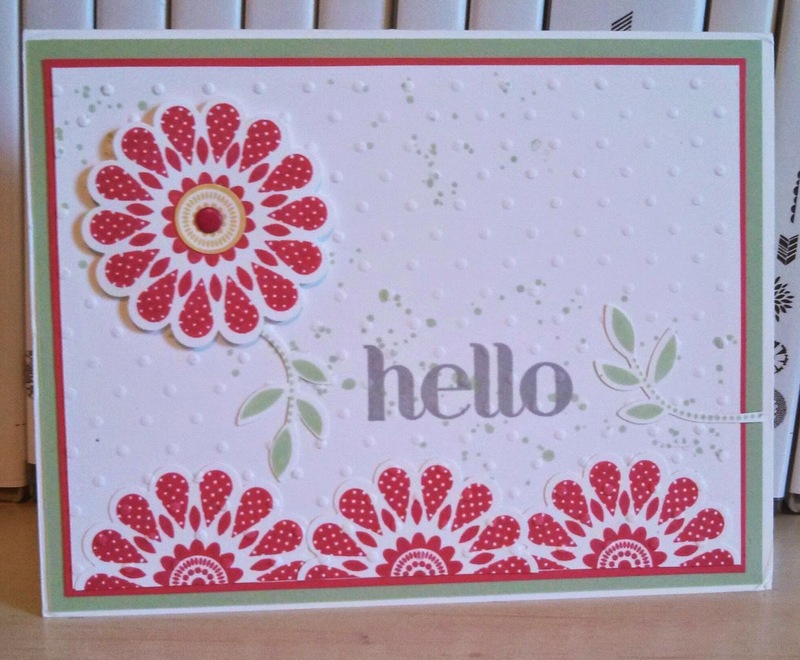 Hello, today I am showcasing a card I receive in a mailing swap hosted by the infamous Brian King of stampwithbrian.com. I sent him a card and and he sends mine to another person in the swap and I receive a card from the swap. This one is all the way from Newbury, CA designed and handmade by Cindie McDuffee. 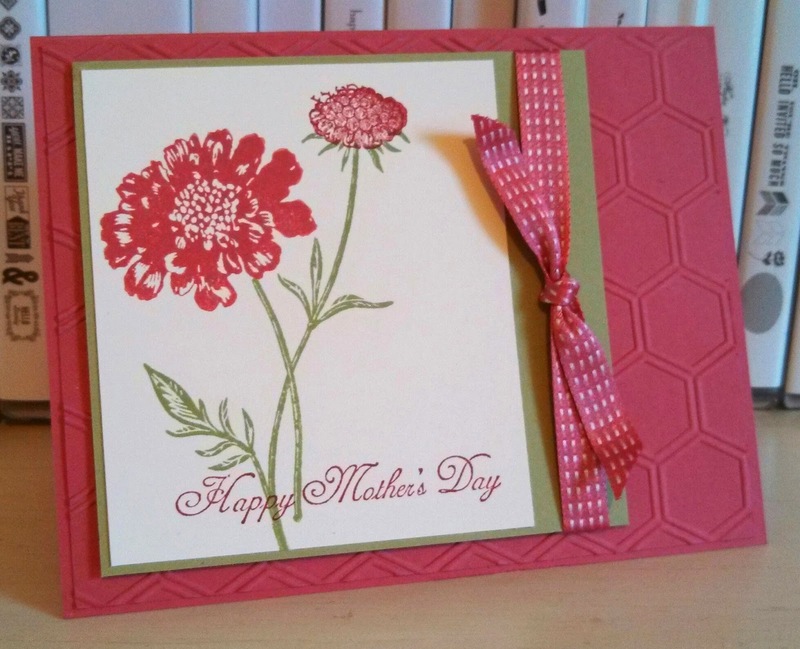 Love her colors and hand punching of all the flowers and the great texture as she embossed all of the front after gluing down the flowers (except for the one at the top which is popped up on dimensionals)! Thanks for stopping by today and have a wonderful one! Great Birthday Card! For any age! Simple but great layout,too! 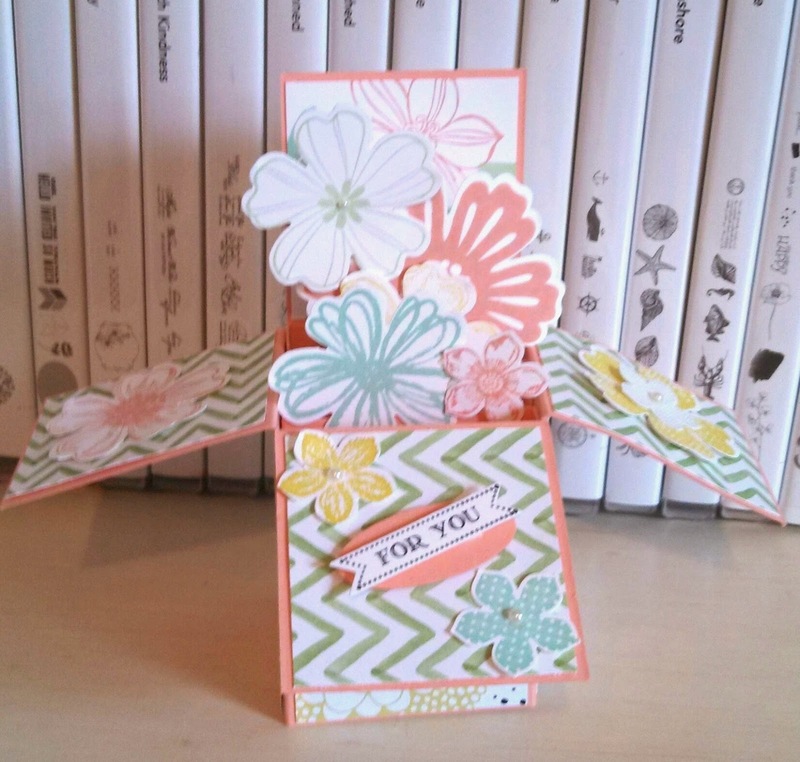 I started with the scraps of Kaleidoscope DSP I had on my desk from another card I designed this week. 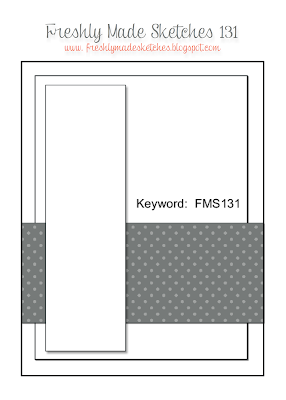 I really like how it stood out on the Basic Gray card stock front. Have a happy day and thanks for stopping by this Monday! I have been hoping for a a lovely shade of purple as a new in color coming in the catalog next week. I will see the new catty on Monday night (tomorrow night!!!!!) and ordering ones for customers on Thursday. Customers can start ordering on June 2nd, 2014. As a demo, I get to pre order a few things on the 1st of May and usually get in colors! I thought I would post a card using some purple. 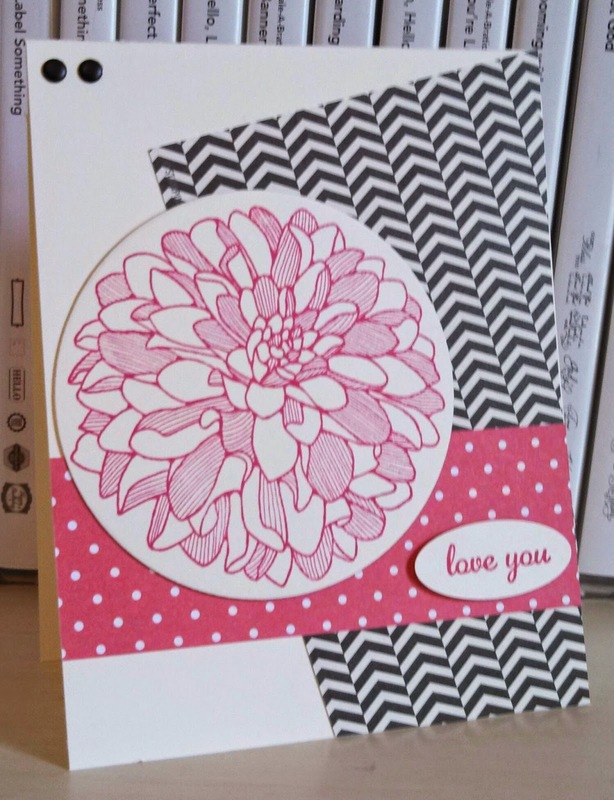 I designed this card this past January. Here is hoping for more purple! 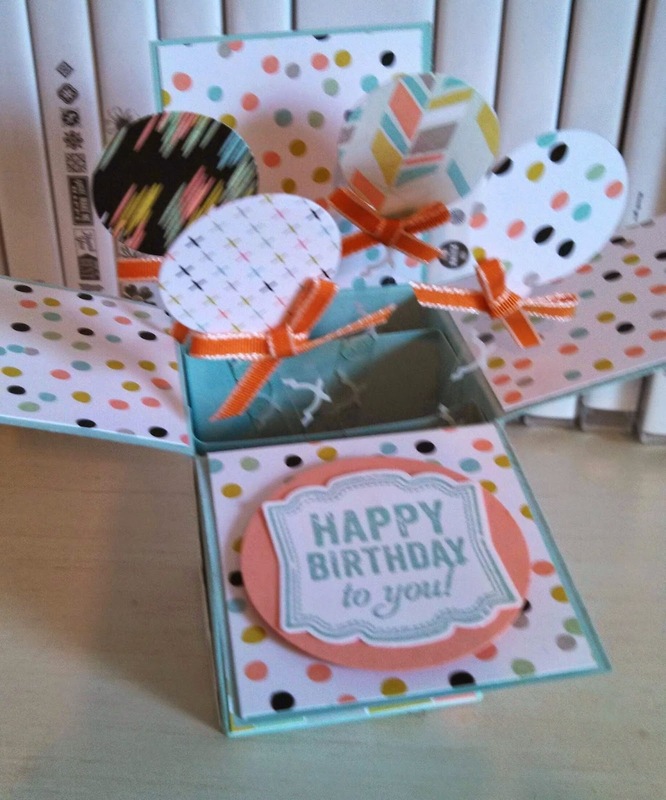 I mentioned earlier this week that my stamp club made the card in a box cards and this is one that my friend Michaelle made using the ornament die for the balloons and the Retro Fresh DSP. 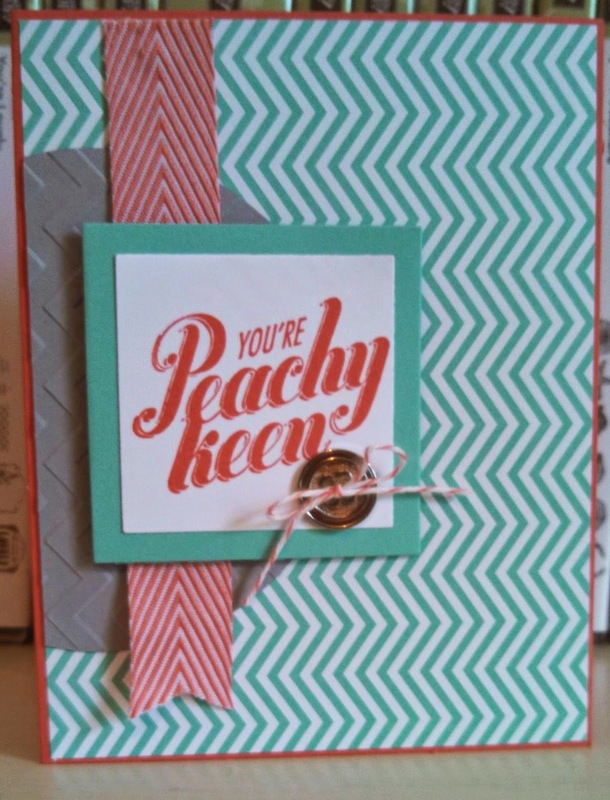 Very fun card for any age! This sketch was fun. The Smoky Slate half circle does not show up well in photo but looks good in person. Just picked a color combo and started from there. I hope you enjoy your Friday...wonderful weather here in Orlando this weekend! I will be laying in the sun each day! PPA201 Thoughts of the Sea! I stared at this layout for some time. It was the two base panels that were throwing me off. 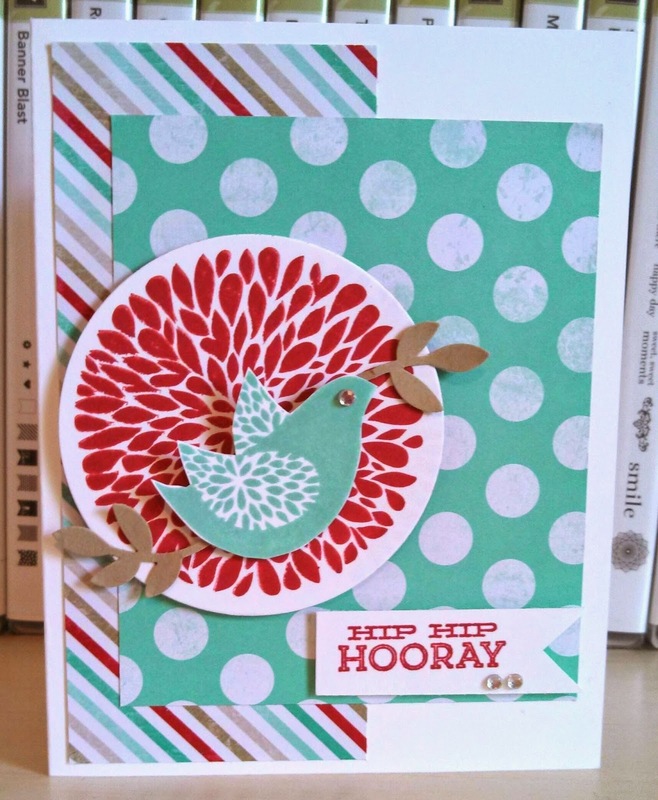 But when I concentrated on what I wanted to stamp on the center piece it all came together! I do need more masculine cards in my stash and this can be used for so many occasions! We made these cards called card in a box last night at club. This is one I made to show the ladies and I hope to post some they made soon. 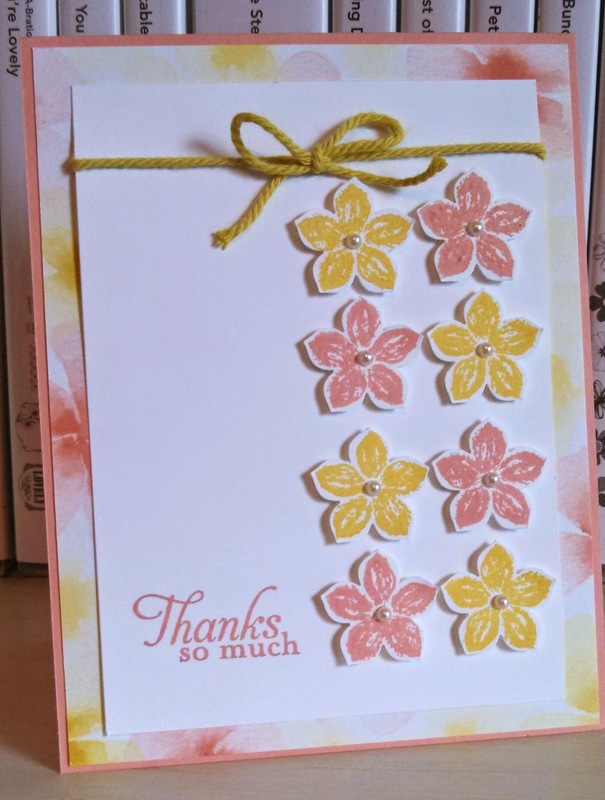 I used flower sets that all have matching dies or punches making it easy to stamp and get several flowers quickly! 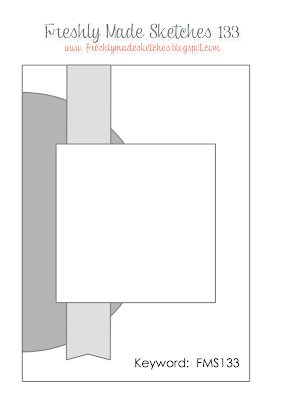 This folds up to go in a standard size card envelope for mailing but can be made larger and then you could design your own envelope! Have a fabulous Wednesday and thanks for stopping by! 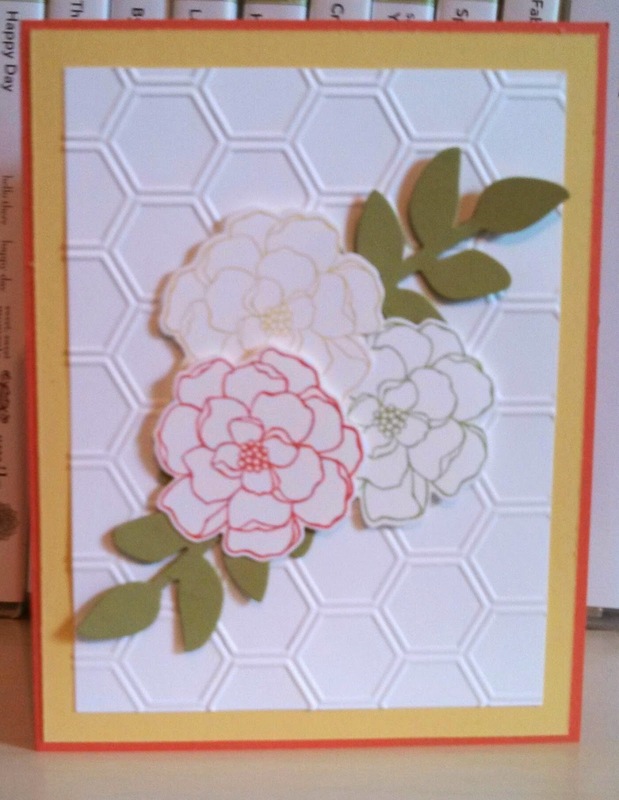 While I had my Floral Framelit dies out for yesterday's card, I decided to use them for my card today. This time I used the Retro Fresh DSP behind my dies! 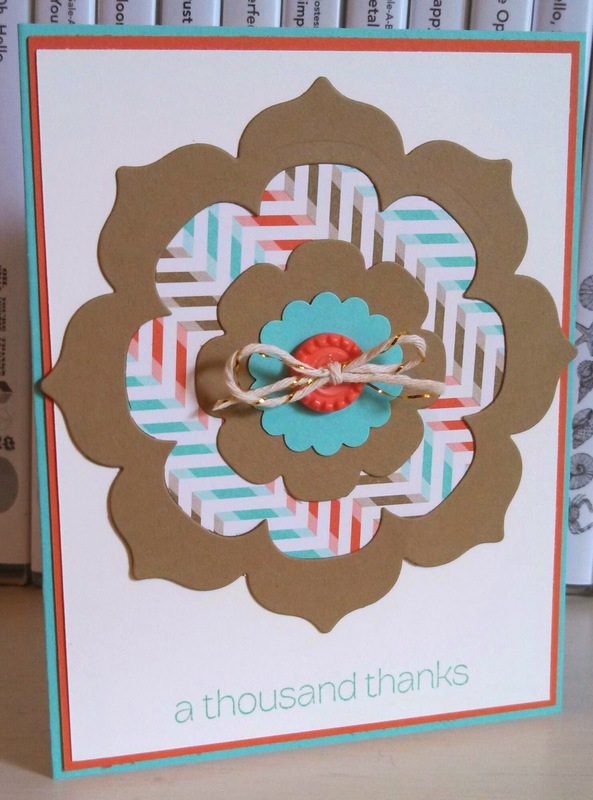 You can never have enough thank you cards in your stash either! 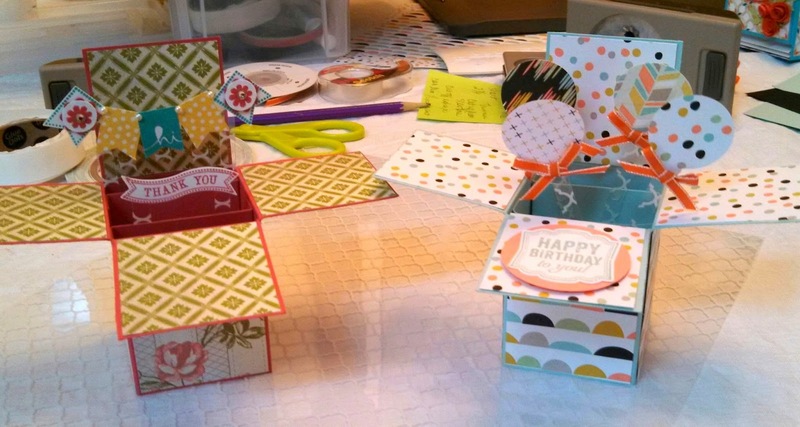 Come back tomorrow for a "card in the box" project we are making tonight in stamp club! Today through Friday April 25th, Free Shipping on all order (excluding expedited)! I got to pull out my washi tape again! I looked back at what I had done before with washi and then through lots of other designs by fellow demos and could not decide what I wanted to do with the washi tape this time! Finally, I thought I would like to do it behind a shape. 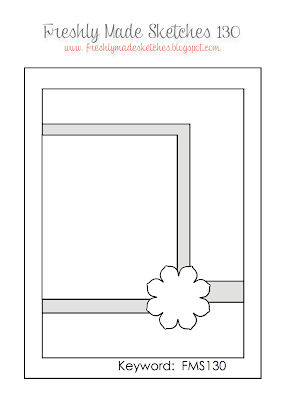 I pulled out all my framelits dies and then I thought how fun it would be to do a shape card and layer with these floral frames. It looks even more cool in person! 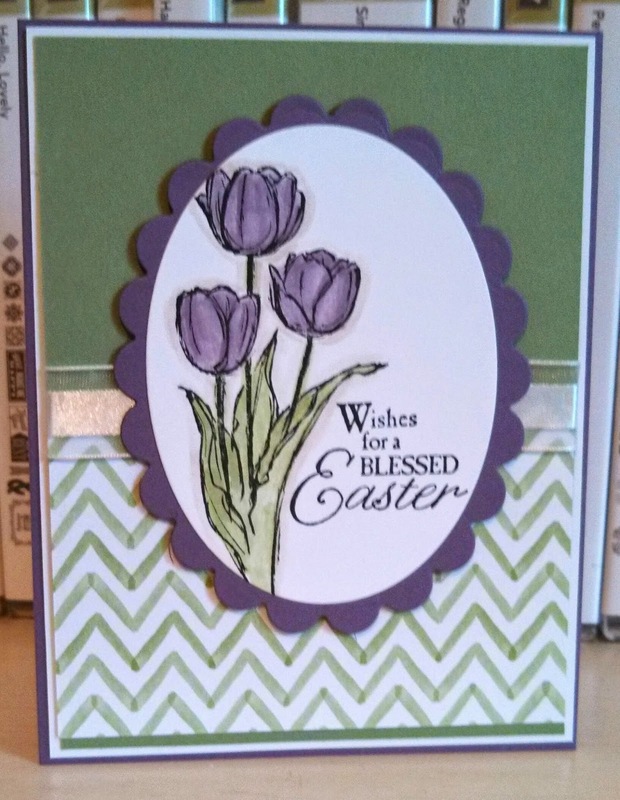 Re-posting my Easter card...love the purple tulips! This is a card I made last summer. I was looking through my stamp sets and remembered how I love this set but it may be on the retiring list this coming Monday since it has been around for a while now. I thought this would inspire me to make a few cards with it soon. Hope you have a lovely Saturday and Easter weekend! I will be greeting visitors at an egg hunt event at my church today. Hope for great weather! 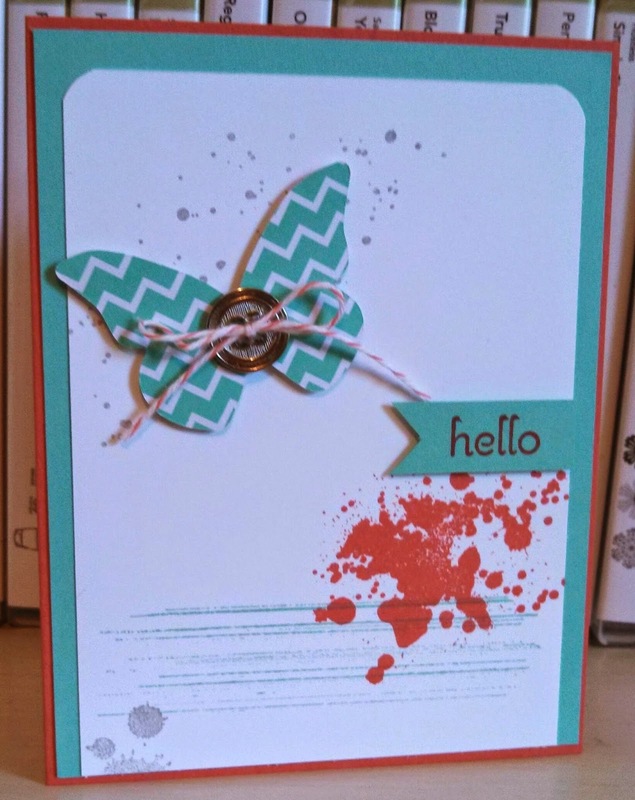 I had my Butterfly die out so when saw this sketch I knew I would use it for the image but could not decide if wanted to stamp on the cut out butterfly or cut using DSP. 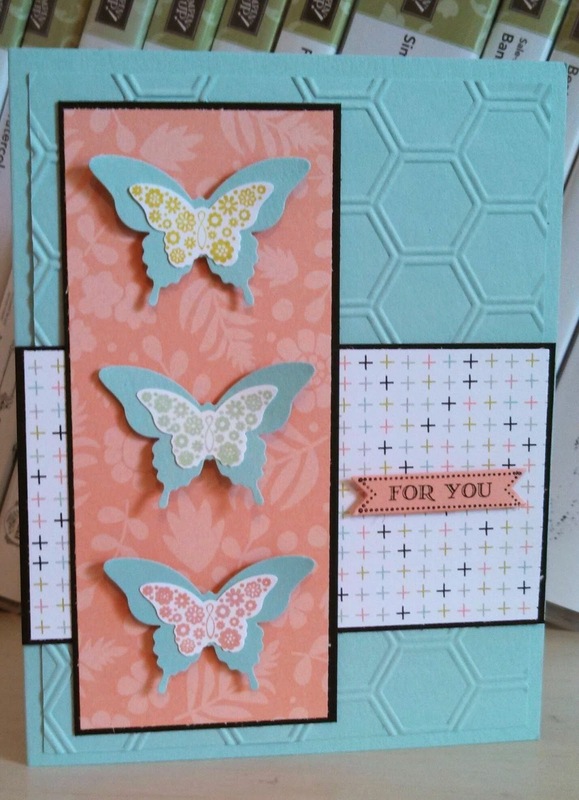 So flipped through my paper and when saw this pattern I knew it was going to be a grungy butterfly card! I used the hello sentiment so can send to my mom or my college girl later! Have a beautiful Good Friday and thanks for stopping by! Fun card today! 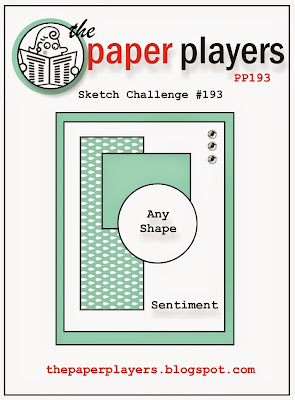 Wow, we hit the 200 challenge mark in Pals Paper Arts! I started with my DSP and then looked for something I thought would go well with the colors and DSP to make my circle. Came together quickly and I will probably use for a Grad card next month! I had the dahlia image stamped in Melon Mambo on my desk and needed to use it. 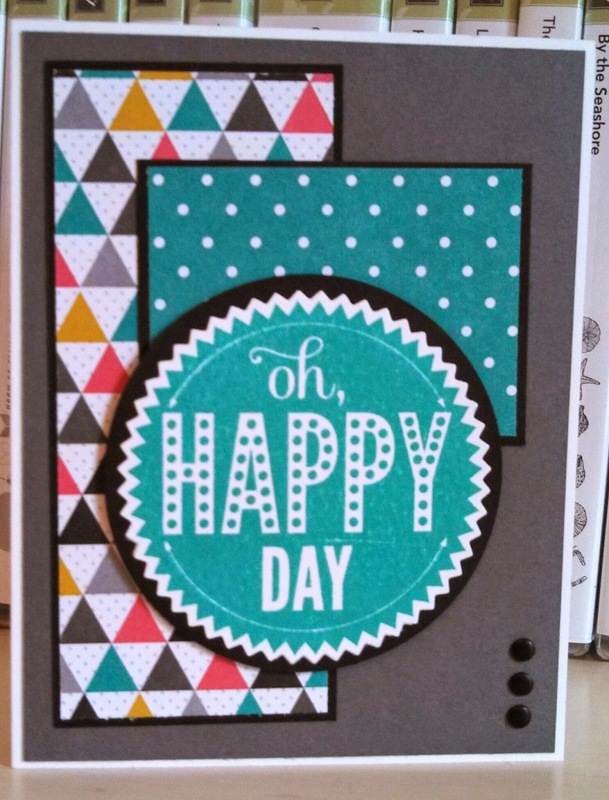 I then saw a card I liked by fellow demo, Mary Brown at www.stampercamper.com and cased it a little. I did use Strawberry Slush DSP which looks like Melon Mambo. Sending this out now to my college girl. last card before she comes home for a 10 day break then back for summer classes! Have a blessed Wednesday and thanks for stopping by! 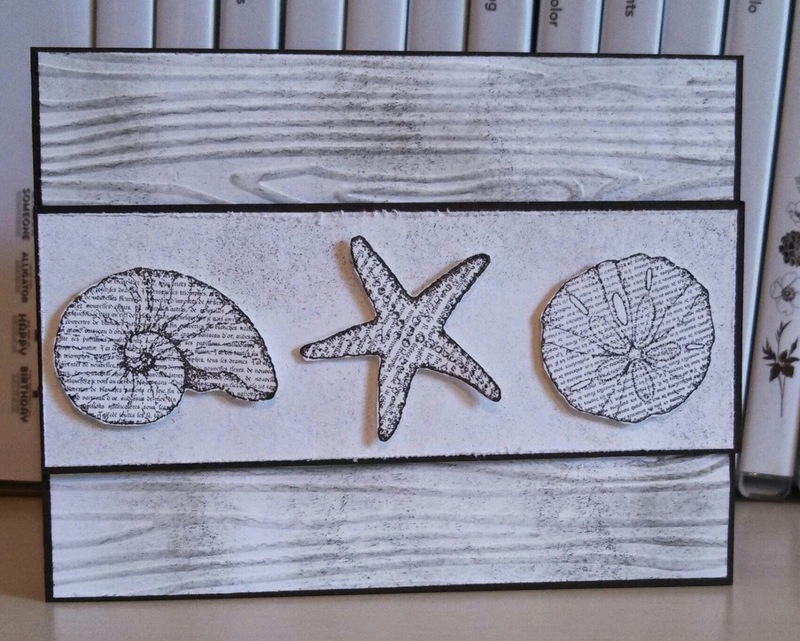 Still playing with By The Seashore stamp set. Really like it and I love using neutrals with the set! 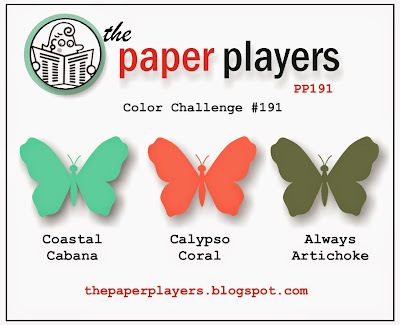 A color challenge this week from Ann reminds me ...well of Ann. 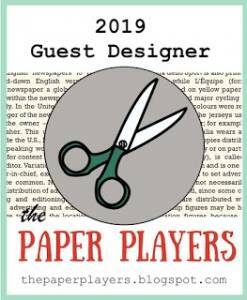 I am speaking of my friend Ann Schach from www.stampinchic.com. She is an amazing talent and rocks Always Artichoke like no one can. 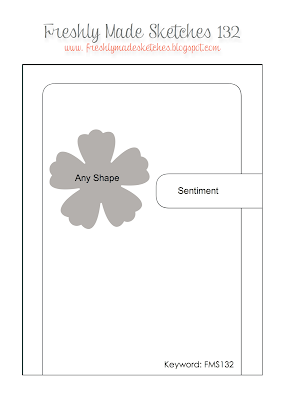 I looked at the colors and knew right away that my Artichoke color would be leaves which meant flowers. I usually do not ink up all the flowers in the Secret Garden set so thought I would give some ink to those flowers this time. I had the Cabana DSP there beside me already so it was meant to be. The card then came together quickly esp. since there are dies to match the leaves and flowers! I hope you have a fab Monday and thanks for stopping by! 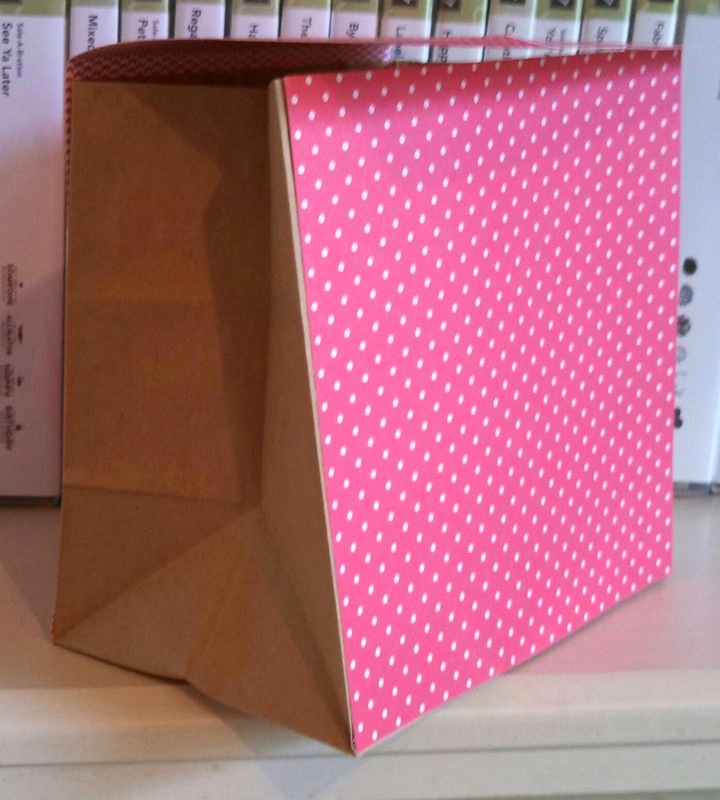 I made and decorated these paper bags for my ladies stamping at card class this past Tues. night. Since I had a small number, I thought I would make them something with their initial. I loved how they turned out. I got the idea from another demo named Ronda Wade at www.rondawade.com. I used large paper lunch sacks and cut them so they were 6"x6" and then used some of the in color DSP to decorate outside. I used the Scallop top tag punch to make the large white tag and used the stretch trim to make them slide on easy. Have blessed Palm Sunday and thanks for stopping by! 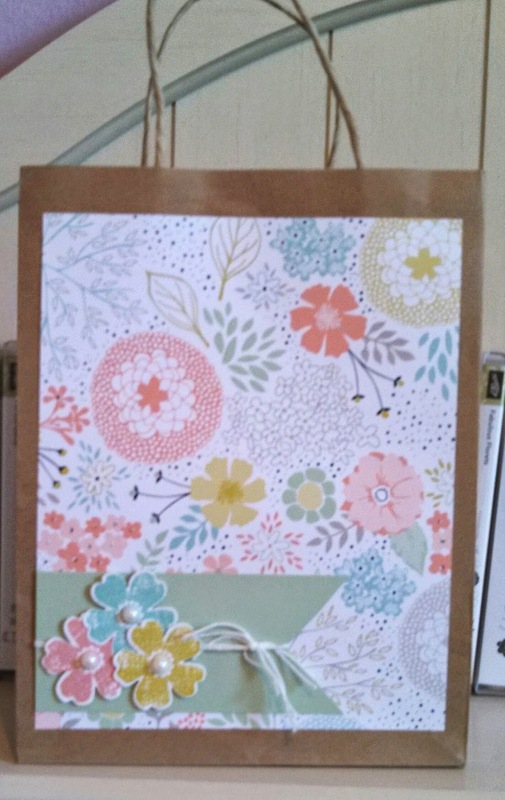 I decorated this bag for Monday night's card class this past week. I looked so spring and Easter like. I hope the ladies enjoy using as a gift bag or to hold some of their own things. Have a lovely Saturday and weekend! Finally a sketch challenge this week...I have been doing several color ones and I like the sketch given to me! I knew I wanted to do butterflies on the vertical panel and then I grabbed DSP that I have so much of. One great things about this Sweet Sorbet DSP, it has several colors in it that work well together! Interesting sometimes how a card or any creation comes together. I stared at these colors on the color coach then thought of flowers. But wanted easy to stamp cut flowers so thought of these that have a matching die. 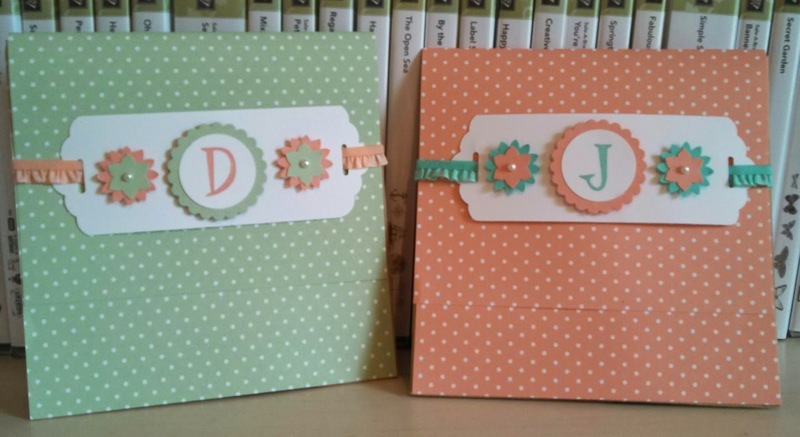 I stamped them and cut them out but then had no idea of layout. Then decided they need to be on white to stand out. During this time I had ladies here stamping for my card class and they would giving their imput, too. They esp. 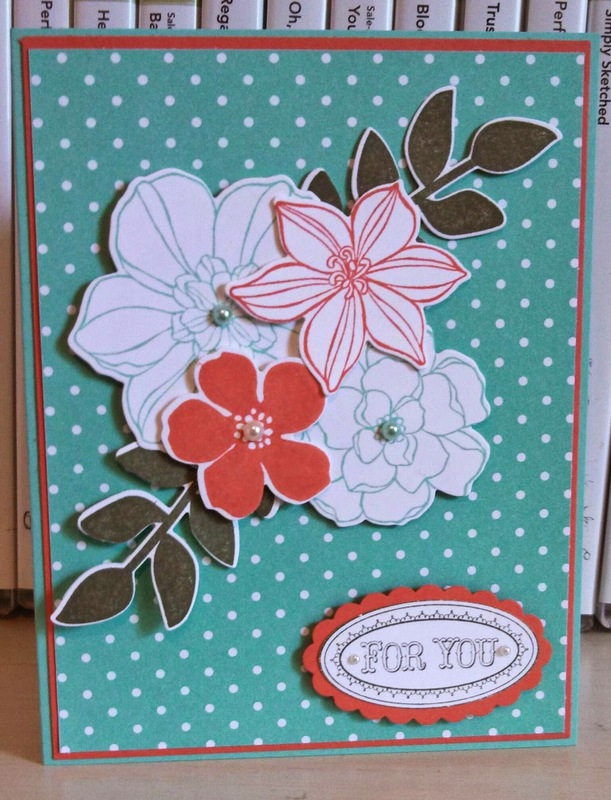 liked the card without any sentiment on the front so I kept it blank so can se for any occasion! Have a wonderful Thursday and thanks for topping by! Jessica and I decided to make a special card. 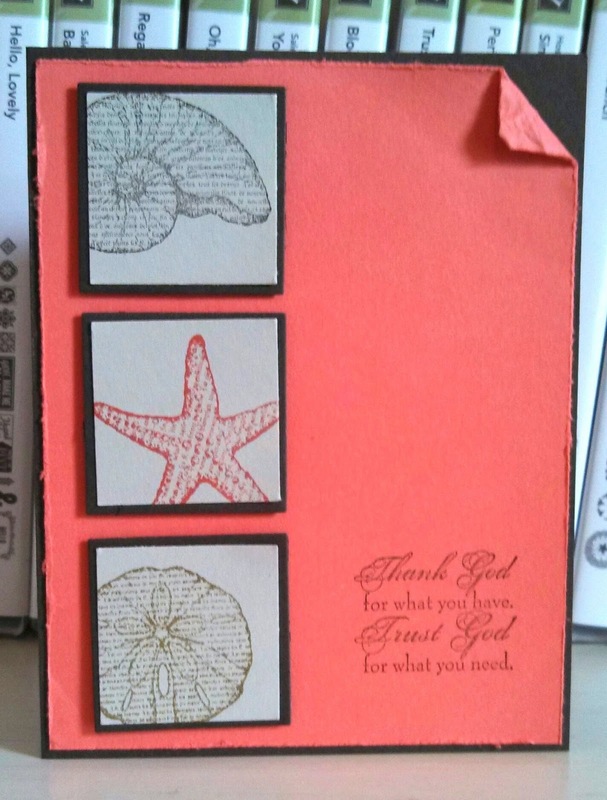 She had already made a card in a box before but I have been planning to sit down and make one so could feature it at my stamp club this month. So glad we did it together. 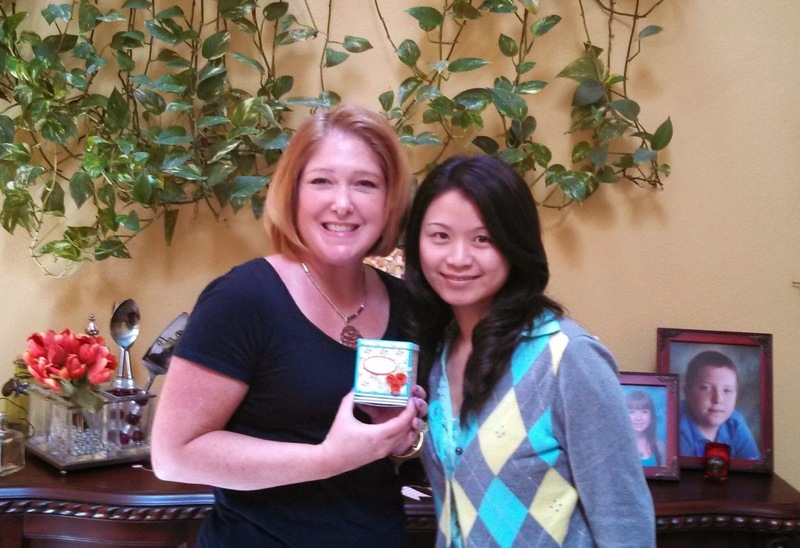 She had great tips on what to do before something else and we figured it out together! Jessica's box is on the left and mine on the right. She had a wonderful banner idea that came together on hers. I used a ornament die to make balloons. We used window sheet strips to pop up our balloons or banners. I know all the colors kind of run together. If doing this again I would make the balloons solid colors! 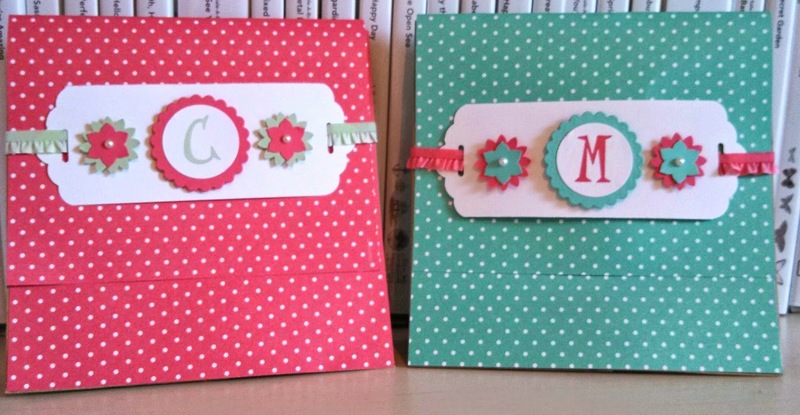 It folds to make a standard size card to fit in a regular envelope...now that is amazing! Have a lovely Wednesday and thanks for stopping by! I love this set and have no idea why I waited so long to get it. I do have other sets with shells and such so maybe that is why I just got it! I knew right away I would use this set and I also love a recent card my friend and fellow Pal, Ann Schach (stampinchic.com) did using this set and layout. I wanted to keep this for any occasion so I did not want to stamp a sentiment on the front. I will add later or not! I like it as is! Last card for card classes this week! Love his work and loved this card. 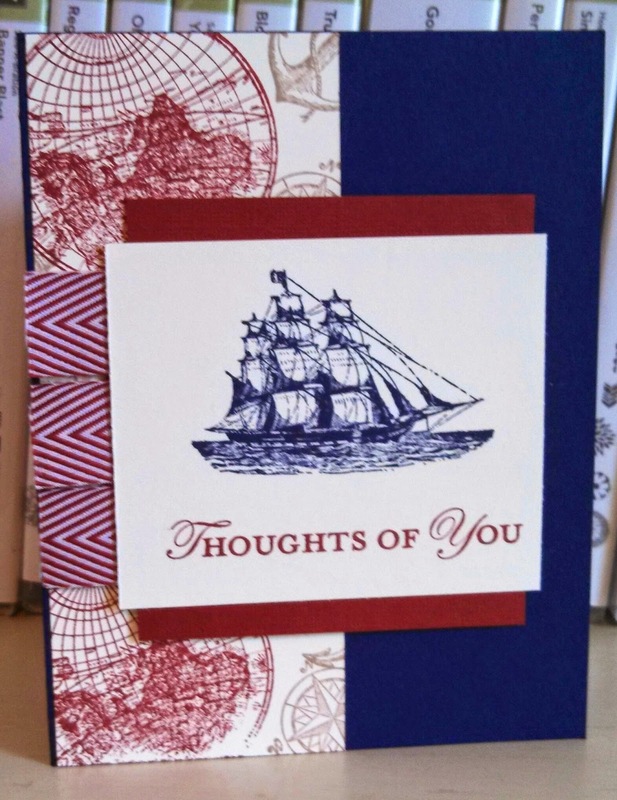 I try to have a masculine type card at each class but this could be for anyone and can handle many other sentiments! 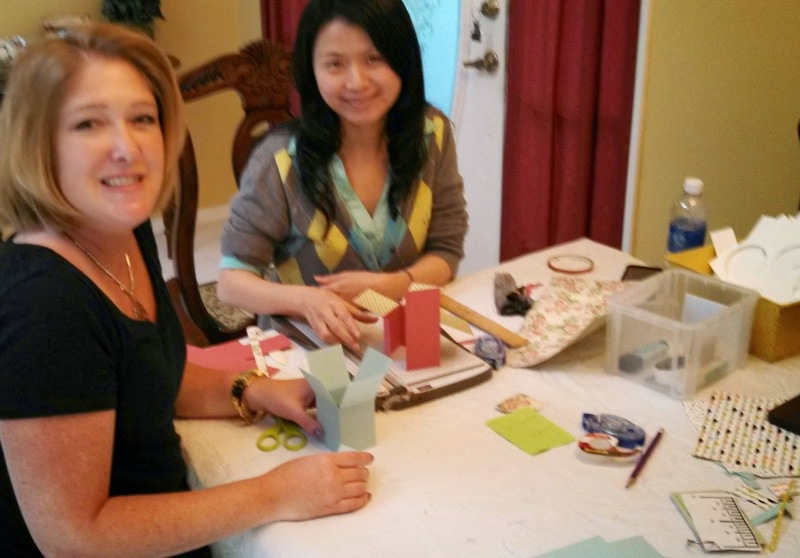 I was so excited to hear from my friend Jessica that she was coming into Orlando this past week and she would have time to come to my house to stamp and hang out with me! 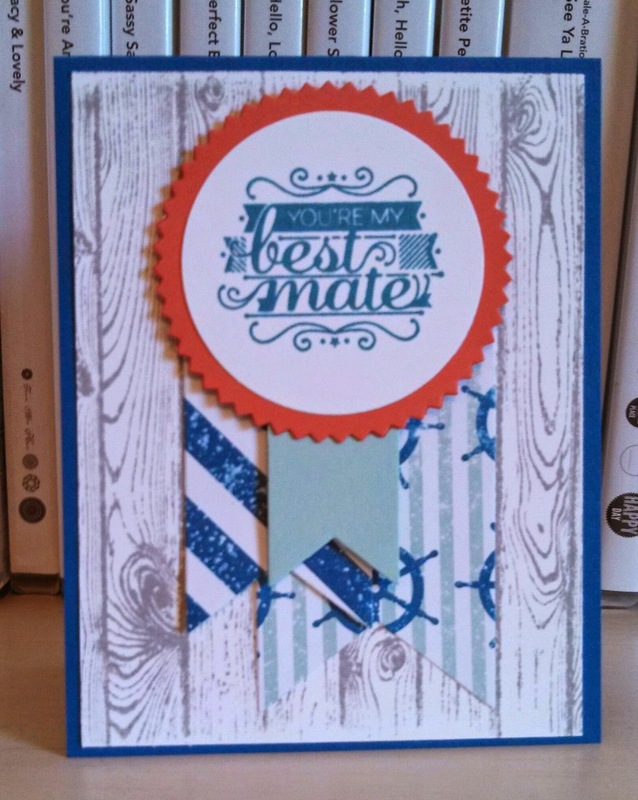 We are part of the same stamping community, the Stampin' Pretty Pals. She brought me a sweet gift. It is a tea bag dispenser but she made little note cards and placed them inside to dispense! 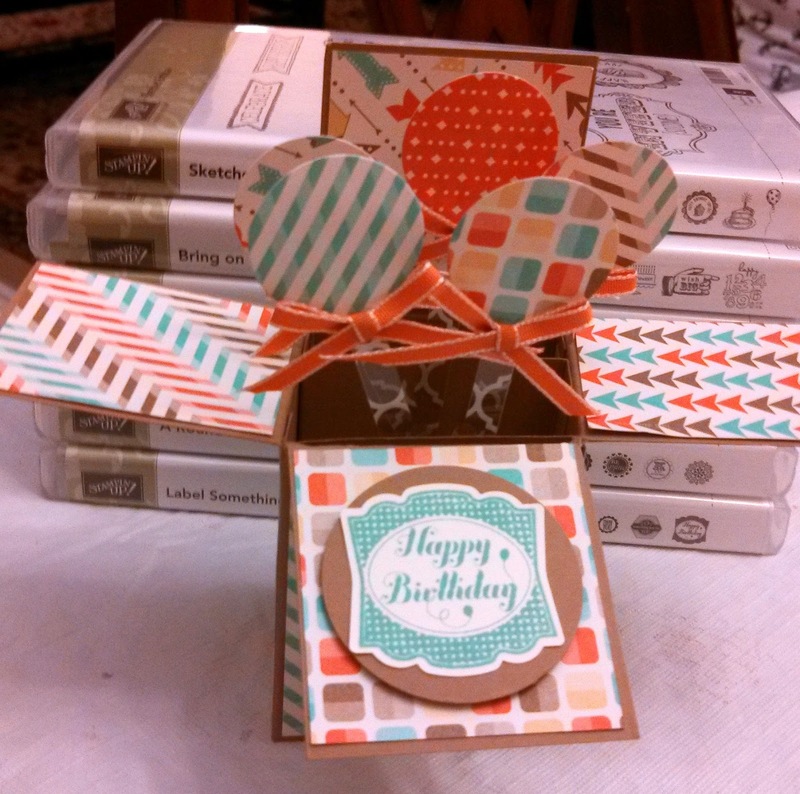 Loved the box and the idea! Grateful for time spent with another Pal! You may remember this card from a sketch challenge about a month and a half ago. 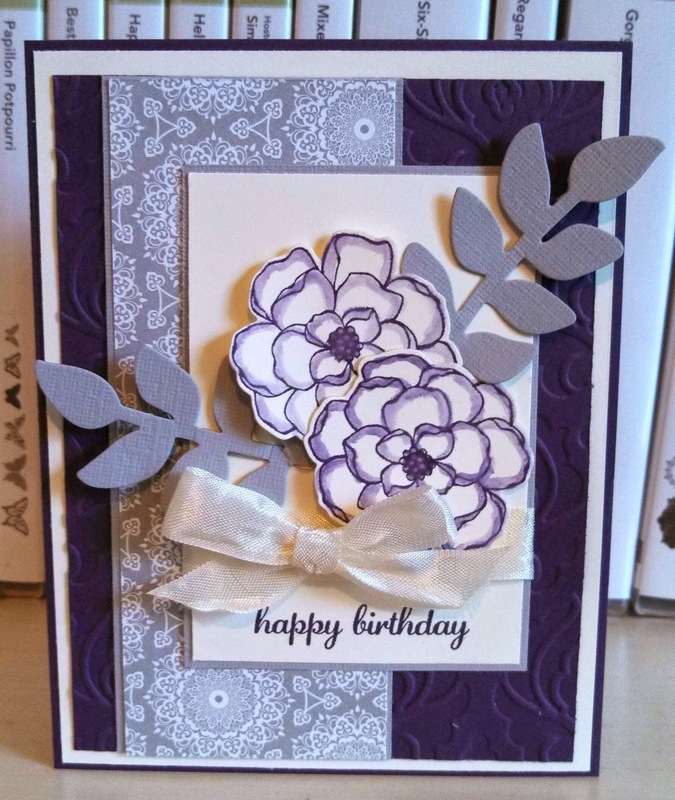 I am posting it again as we will be making this card in card class this next week. I love the softness and the layout, too. I will offer the guest to use the yellow twine shown here or the Crisp Cantaloupe twine on the card. FMS130 Happy Easter to You! I was going to make an Easter card for my daughter to send in her goodies box. She still has several more weeks at college before she can head home for a week's break before summer term. I will miss her at Easter! 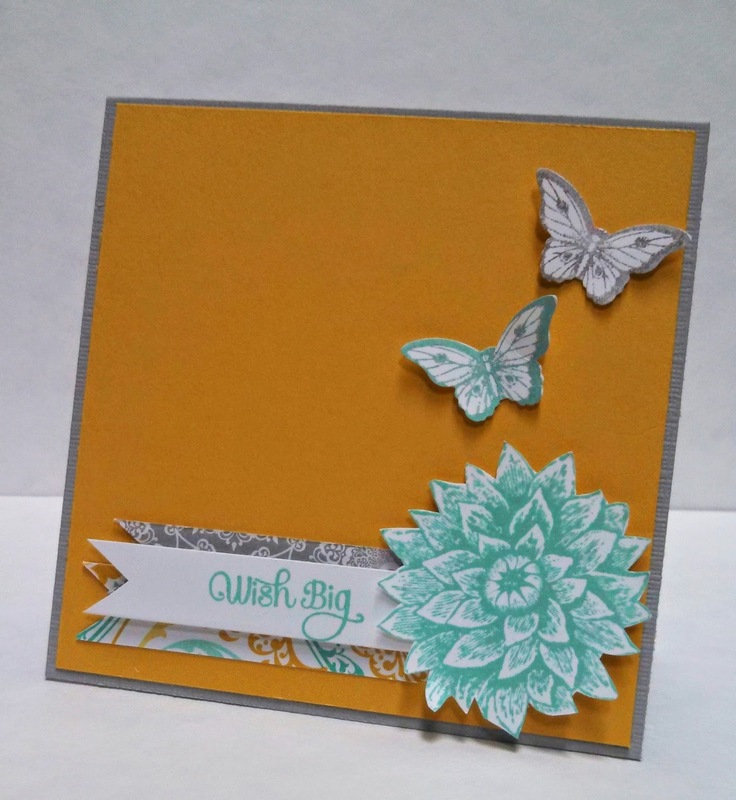 She loves Turquoise and I looked at my color coach to find a coordinating color to add to the card. I was not thinking Rich Razzelberry but it works beautifully together with my Tempting Turquoise! Have a fab Friday and thanks for stopping by! 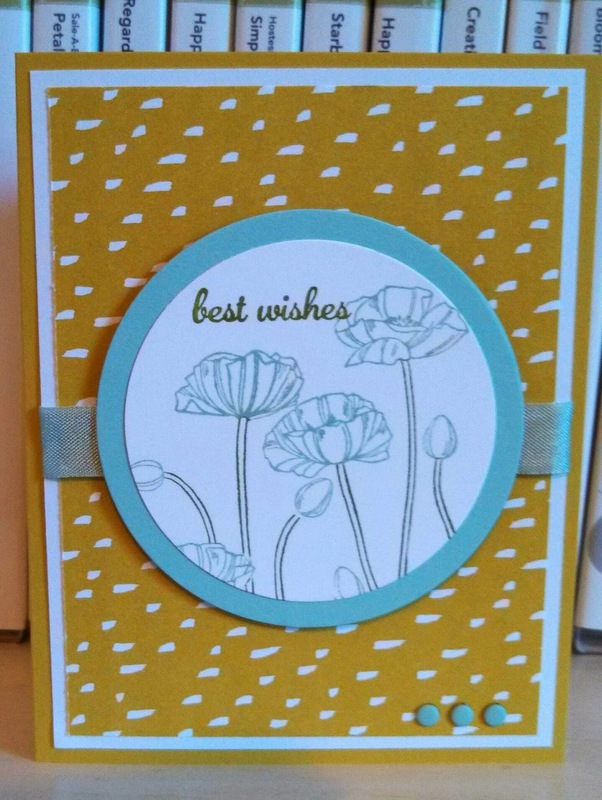 PPA198 Best Wishes With Poppies! Color Challenge this week with not a favorite color, Summer Starfruit! I did remember there was Summer Starfruit in the Sweet Sorbet DSP and that helped with the background. 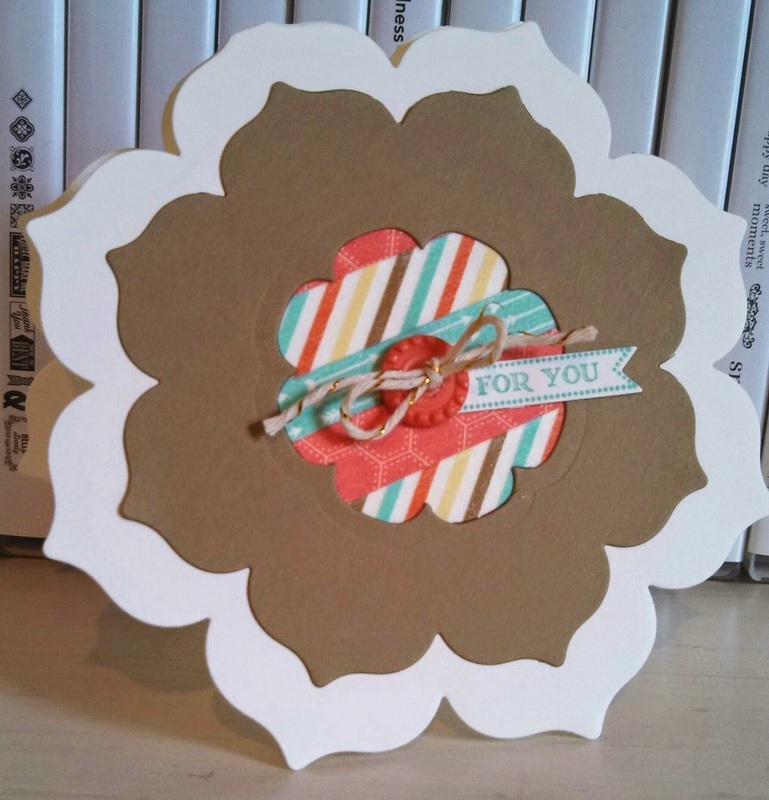 I then thought of a card I saw recently with the poppies like this in a circle. I used the Pool Party and Old Olive markers on some flowers (did not need to ink the whole background stamp) and stamped. It really needed something at the bottom when I was done so I added a few Pool Party candy dots! Finished! 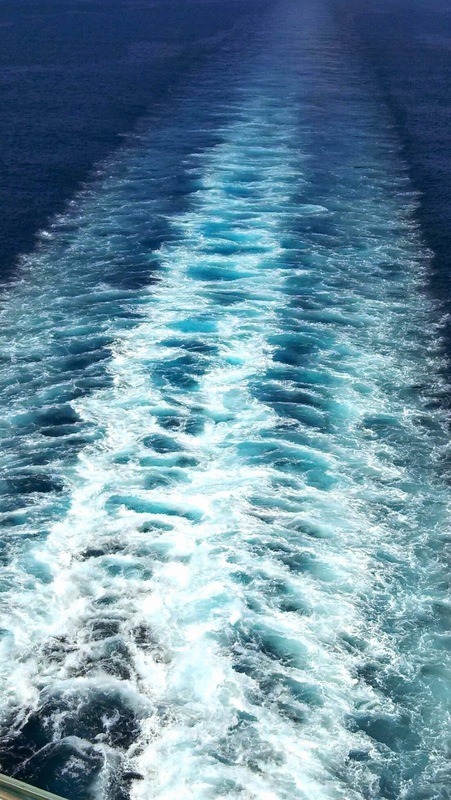 I captured the first photo from behind my cruise ship a few weeks ago. The waves were so blue and photo does not do it just! So it inspired me to take a photo and hope to make a card or project with these colors! I used watercolor paper and brushed several colors. Look around and see what inspires you! 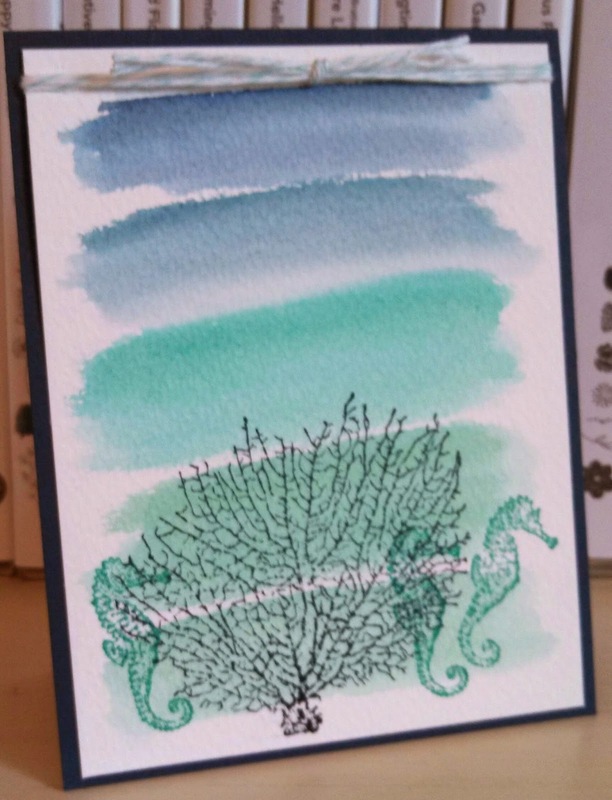 This is the first in card for card class next week. 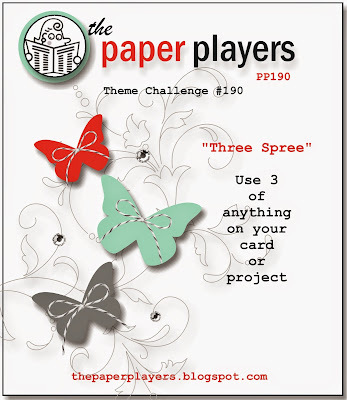 I wanted to use the Primrose Petals because I have so much of it in paper and ribbon. This is simple but I think the embossing make it pop! I have not used this set in a long time and do not know why because I think it is so pretty and easy to make great flowers! I hope you have a great Tuesday (Happy April Fool's Day) and thanks for stopping by!